I prize books that offer new information, solidly documented, instead of conjecture and syntheses of well-known data. Books about departed jazz musicians often have trouble presenting new information or new interpretations of already-established information, because many musicians received little press coverage in their lifetime, did not leave behind correspondence. So the subjects take their mysteries with them, leaving us to speculate. After much investigation, we can be reasonably certain why Lester Young quit the Count Basie band in 1940. We know much more about the last days of Bix Beiderbecke, Billie Holiday, Jimmie Blanton; we’ve learned much about the private life of Louis and Lucille Armstrong. But one mystery has only been nibbled at — why the glorious Boswell Sisters separated after national and international success. A new, invaluable book, THE BOSWELL LEGACY, written by Kyla Titus, granddaughter of Helvetia “Vet” Boswell, from research and information gathered by Chica Boswell Minnerly (mother of Kyla, daughter of Vet) is a prize. Even though Connie lived until 1976 and Vet to 1988, they kept the Code in place, gently turning aside the question, “Why did the Sisters break up?” as if indiscreet. So Boswell admirers like myself could chart the trio’s ascent from 1925 to 1936 through their recordings, radio broadcasts, film appearances, and paper ephemera, but we had no insight into the transformation. Some may have surmised that Connie’s career was so successful that she and her manager / husband intended that she be a solo attraction. In addition, the Sisters married in the last years of their stardom. But the separation continued to puzzle and irk us, especially because we want to know more about the lives of the people we admire. THE BOSWELL LEGACY does the best job possible of making the mysterious accessible. And it does so from the inside, rather than assembling rumors and constructing hypotheses. It has the depth and intelligence of a scholarly biography with no academic dryness. Rather than start as so many biographies do, with the birth of the subjects’ ancestors, this book starts at a place few will be familiar with — Jimmy Fazio’s Supper Club in Milwaukee, Wisconsin, on August 29, 1955 — with the Sisters assembling on stage for an impromptu reunion during Connie’s engagement (singing HEEBIE JEEBIES as if they had never stopped performing). The book then shifts back to the past, exploring the family as far back as the start of the nineteenth century . 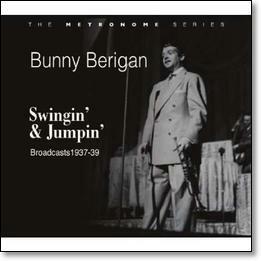 . . then to their eventual move to New Orleans and their involvement in music there. The book takes on its true strength as the pages turn, and that strength is in well-utilized first-hand evidence, particularly correspondence. We do not get long letters, which might stall the narrative, but we get dated excerpts in proper contexts. Thus we hear, as well as we can, the vivid voices of the participants. I commend Kyla Titus’ honesty throughout. One of the inescapable facts of Connie Boswell’s life was that, although able, she could not walk. No single clear explanation of this exists, and Titus handles the two hypotheses — a childhood accident or polio — gracefully and candidly. When we finish reading her presentation of the evidence, we may feel that the answer remains elusive, but we never feel that the author is ill-informed or keeping anything from us. The book begins to move rapidly through the Sisters’ musical education, Martha’s deep love for the short-lived cornetist Emmett Hardy (dead at 22), and the gestation of the Sisters as a trio. Success mounts steadily — at their first New York City record date, the musicians stand up and applaud when their first successful take is concluded. They appear on radio, in film, and on a 1931 experimental broadcast of that new invention, television. But even at that point, a reader can see tension as the Sisters’ manager, Harry Leedy, is also Connie’s manager, with conflicting allegiances. The Sisters cross paths (and sometimes work with) luminaries Bing Crosby, Kate Smith, Russ Columbo, the then-unknown comedian Bob Hope, Paul Whiteman, Duke Ellington, Cab Calloway, Louis Armstrong; they tour England and Holland, triumphantly. But by 1936, the Sisters — as if by erosion rather than by a definite blow — have become three separate married women. And although they speak happily of this in public, it appears that Martha and Vet wait for a reunion, which becomes less likely . . . returning the book to the one song in Milwaukee in 1955. At the end of the saga, it is not entirely clear what happened. Was it Connie’s steely ambition, her desire to be a star on her own, that cracked close harmony into three pieces? Was it the divided loyalty of Harry Leedy? Once again, I admire Titus’ refusal to force the conflicting evidence into one answer, and I think her fairness admirable, her unwillingness to assign the actors in this play roles as Victims and Villains. Although the breakup of the group is perhaps the single greatest mystery for us, the book is not obsessed throughout with the collapse of Sisters as a trio; that occupies us for the last segment. 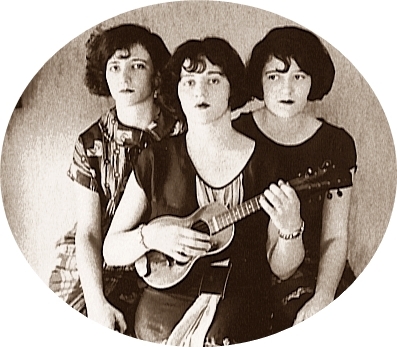 It is ultimately a loving look at three innovative, independent women who made their own way, both as individuals and as musicians, at a time when women were not thought to influence the men in their field to any great extent. 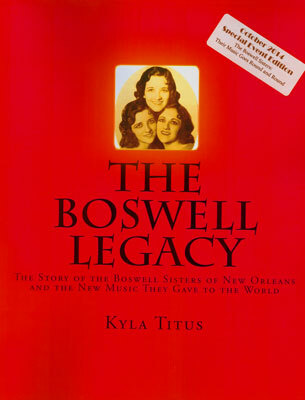 The book is wisely titled THE BOSWELL LEGACY, and Titus balances her and our sadness at the end of the Sisters’ career with our awareness that the “three little girls from New Orleans” left us so much — not only in recordings, airshots, and film appearances, but a living tradition for swinging, inventive close harmony groups. To some, they live on in the energetic, witty, sweet voices of new generations. I found the book’s ending melancholy, but I am looking forward to the film documentary about the Sisters, CLOSE HARMONY (here you can view the trailer) as an emotional corrective. THE BOSWELL LEGACY is a large-format paperback, nearly two hundred pages, clearly written, generously illustrated with rare photographs and documents. Anyone who has gotten a thrill from “Shout, Sister, Shout” will find this book essential. I don’t think a better or more informative book on the Boswells can be written. No one’s replaced them; no one ever will. The hour-long documentary, THE BOSWELL SISTERS: CLOSE HARMONY, is taking shape, harmoniously. But harmony needs help — little bits of money from people who love the Sisters and would love to see the film, which promises to be full of audio and video never encountered before, including portions of the only video interview Vet Boswell ever gave . . . I have refrained from using JAZZ LIVES as a place to ask people for money, even though I have been asked to do so by many worthy artists who have needed Indieagogo and Kickstarter to get their projects finished. But I know the people involved in CLOSE HARMONY and I can vouch for their sincerity and diligence. And (if you need such declarations before you can go on) I’ve supported this endeavor in a tangible mercantile way, too. So I invite you to visit kickstarter and feed the kitty. I should have added that my contribution was in memory of Jack Purvis, but that’s just an afterthought. Even if you send three dollars — one each for Connee, Vet, and Martha, that would give the project a nice gentle kick. It’s always delightful to meet someone animated by great knowledge, great enthusiasm, and a passion for a subject: David McCain is such a person. He is frankly in love with three little girls from New Orleans — Connee, Vet, and Martha Boswell — the Boswell Sisters. David is not only a great collector of their music, their photographs, and evidence of their gifts — but he is a wise enthusiast who has done so much to let the world know about the Sisters. We love those “savage chanters,” we do.